Isn't that basically the idea behind phantom detents? I've never used the rings on mine so not really sure. I've seen the idea used successfully several times on MCB in the past (albeit with one slot, not 3). Depending on how tight the o-ring is in there it could work quite well. But a single slot (as mentioned above) would be just as effective in my opinion. azodin kaos had one of these. worked pretty damn good actually. gotta remember, on most guns, the ball is well past the mouth of the barrel before the air pushes it. A looser o-ring may be fine. That pic has one that looks pretty tight. Not really sure I understand what they're going for, as any open-bolt marker is going to have detents, and most closed bolt markers are going to push the ball past the o-ring when it gets loaded. Wouldn't it make sense to put the o-ring further forward? Last edited by PBSteve; 05-10-2013 at 03:40 PM. 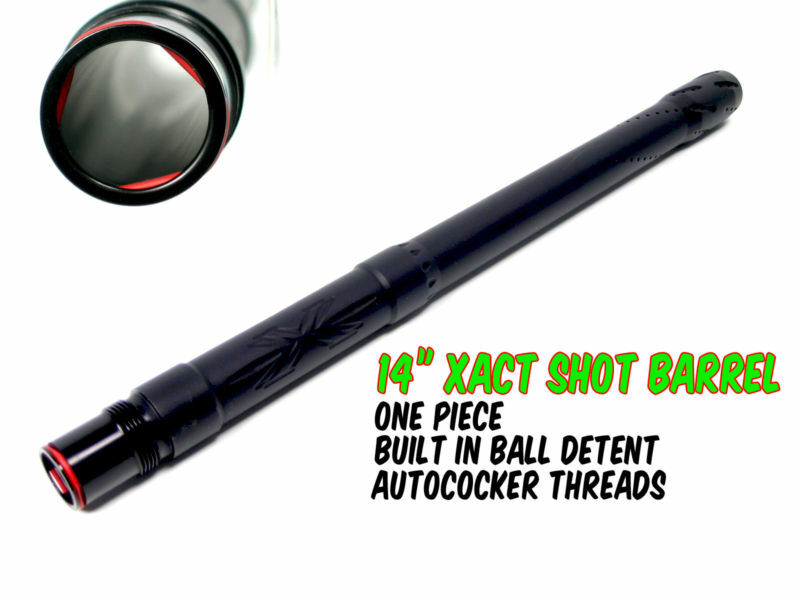 Isn't that an old System-X barrel that came with their horrible auto-cockers? The o-ring is not in any usable place in the barrel. I really don't see the function in it. Short of an extra problem maybe? Palmers barrels have "widgits", that do the same thing. But for your money a good barrel kit would be better all around.